High quality wool tartan square, originally made as Ladies headsquare. 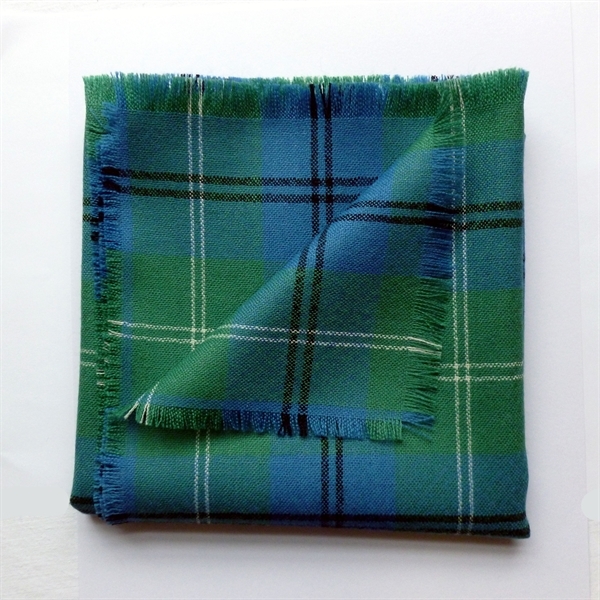 Use for tartan banner, Scottish themed wall-hanging, table covering, Scots family Ceremonies. Perfect backdrop for display items in frame or on polished wood. Available in 500 tartans. High quality wool tartan square, originally made as Ladies headsquare. 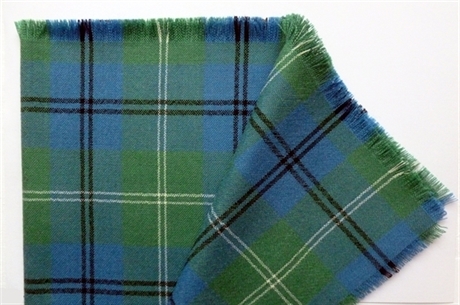 Use for tartan banner, Scottish themed wall-hanging, table covering, Scots family Ceremonies. Perfect backdrop for display items in frame or on polished wood. Available in 500 tartans. Made to Order. Great way to purchase smaller piece of your tartan material. 27 inch square. Fringed all four sides. 100% Pure New Wool Plain weave.